South Adelaide's Under-18s have dropped to third on the ladder after a nail-biting loss to Glenelg at the Bay. This weekend we travelled down the hill to ACH Group Stadium (Glenelg) to take on the Tigers in what was perfect conditions for footy. In an unusual occurrence for junior football we had an unchanged team from the side that defeated Central District in Round 1. In the first half we played quite well, with most of the key stats even between the two teams. We managed to kick the first two goals through Liam Nye and Sam Hindes. However, the last half of the quarter we made some mistakes and Glenelg took full advantage of these opportunities to kick the next three goals and take a five-point lead into quarter time. The second quarter Glenelg took complete control of the game, having twice as many disposals, 10 more clearances and 12 more inside 50s for the term. As a result they booted 4.9 to our two goals. We were unwilling to defend and were lucky Glenelg didn't kick straight or the game would have been out of reach at halftime. As it was we were 25-points down but had a lot of work to do to get back into the game. The start of the third was a tough one and we missed an early opportunity, but it did take Glenelg seven minutes to kick their first of the quarter, which extended their lead to 30 points. To our guys credit, they did not give up and we kicked the next three goals through Hindes, Mitch Riddle and Beau McCreery to cut the Tigers lead to 12 points and head into the last with the momentum. The last quarter we started to get our hands on the ball and played most of it in our front half. We kept Glenelg to only a solitary behind for the quarter, which showed we didn't lose the ability we showed the week before, but our attitude going into the game probably wasn't where it needed to be. We managed to kick one goal and had other opportunities that we couldn't convert and unfortunately went down by five points. This week we travel back to Prospect Oval for the second time already this season. 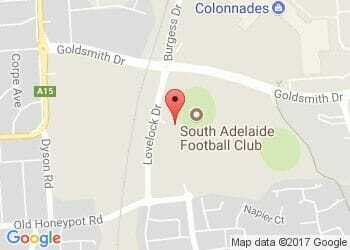 This time to play North Adelaide.